This Christmas, I’m praying for peace. It’s become so apparent that this world is broken – that there is something inherentlywrong with the way people relate to one another. In the midst of an atmosphere of religious and racial tension in our country, I’m thinking of Milwaukee in particular. Whether it’s news of the state of race relations between urban and suburban communities, or a hateful note written toward Muslims outside a grocery store, or even just the typical familial strife that may accompany the holidays – I’ll be praying for peace. Sure. You can be happy and peaceful at Christmas time by drinking hot cocoa, sharing gifts, and spending time with loved ones. But, if you want peace and happiness that lasts beyond January 1st, there is only one place to look: the Gospel of Jesus Christ. As the angels announced in the book of Luke in the Bible, Jesus’ coming down to earth at the first Christmas was more than just a baby born in a dirty stable at an inconvenient time to parents who were traveling. It was the best news the world had ever received. Jesus – fully God and fully man – was the long-awaited Savior. He was the physical embodiment of God’s glory and the ultimate message of peace. In a previous post, we talked about the place of prayer and the necessity of faith + action. 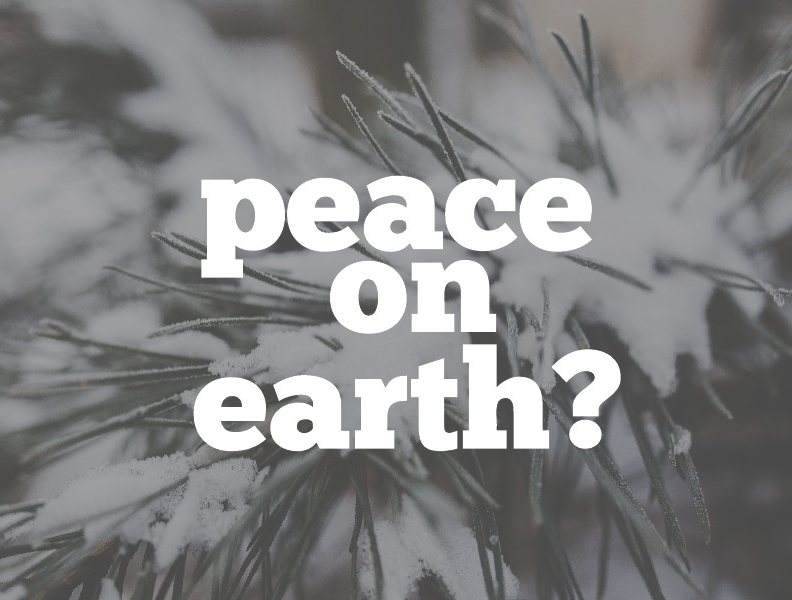 So, here are three ways to pray for peace this Christmas in a way that stirs and motivates a life that follows after Jesus. 1. PRAY FOR MORE PEOPLE TO FIND PEACE IN THE PEACEMAKER – PRAY FOR MORE PEOPLE TO BELIEVE AND TRUST IN JESUS. Simply put, pray that people everywhere would realize their need for a Savior and turn to Jesus. The blessings of ultimate reconciliation and fulfillment are a result of the Gospel. Therefore, for people to find peace and love towards their neighbors, they must ultimately believe the Gospel. 2. PRAY THAT CHRISTIANS EVERYWHERE WOULD BE MOVED BY GOD’S LOVE TO LIVE IN A WAY THAT SHOWS PEACE TO THE WORLD. When someone meets Jesus, they can’t help but be changed. Therefore, Christians are called to live a life that shows the world God’s heart. Jesus was filled with compassion for the hurting, the disenfranchised, and the poor. Pray that Christians in the Great Milwaukee Area would be moved by God’s love for them, and in turn, show that love to their neighbors. We know that faith leads to action. 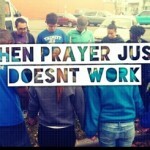 It’s my prayer that as Christians in Milwaukee grow in faith, they will look more like Jesus did. Meaning, they will care about the things that Jesus cared about: sharing the Gospel in words and service. 3. PRAY THAT THE POOR AND HURTING WOULD BE COMFORTED BY THE LOVE OF JESUS THIS CHRISTMAS. Sometimes I’m overwhelmed by the amount of pain and suffering I see on the news, on social media, and right in front of me. I ask, “What could I possibly do to make this better?” The good news is that it’s not up to me, it’s up to God. He has simply chosen to use me as an “instrument” of his mercy. Lastly, I’m praying that those who the world has forgotten, those on the fringes of society, would feel the love of Christ. How is the love of Christ usually shared? The answer: through his body, through the Church. This Christmas, I’ll be praying that God would comfort those who are poor and hurting – whether that be through me or someone else. The true message of peace at Christmas is a message that points to God, to Christ. The real message of peace says “I am hope, I am true joy, I am life. I am God.” That’s where real peace starts – knowing and loving Jesus. The English Standard Version Bible. New York: Oxford University Press, 2009. Print.